Stiga table tennis paddles, or to give them their correct name, Stiga table tennis rackets, are made by Stiga Sports AB, a global company with partners in over 100 countries. 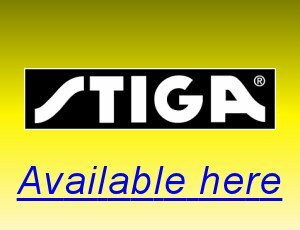 Stiga has been a world leader in the sport of table tennis for over 60 years, and for more than half a century Stiga blades have been world renowned. Stiga continue to innovate in table tennis blade production by starting with the finest raw materials, maintaining the highest standard of quality, and by continuously investing in research and development of new blades and new manufacturing technologies. 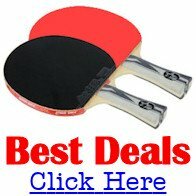 I would recommend the Jean-Michel Saive series of paddles. Throughout the years that Stiga has been manufacturing table tennis blades they've accumulated an enormous amount of skill, expertise and knowledge. Working with several world class players and coaches, Stiga have always identified players evolving needs and have been able to produce blades to meet these needs. In the past few years, Stiga have introduced many new blade technologies - WRB, CR, Oversize, 13 layer Carbo, TUBE, Crystal, Nano Composite Technology etc. The combination of the finest wood and their craftsmanship make Stiga's blades some of the best available. So what do players use? Stiga table tennis paddles have been endorsed by some of the best players in the world. The Swedish National Table Tennis team endorse Stiga equipment, having signed a 10 year agreement which ran from the 1st July 2003 until 31 December 2013. This agreement was then extended for a further seven years and runs from 1 January 2014 until 31 December 2020. Stiga is also the sponsor of blades to the Chinese National Team.